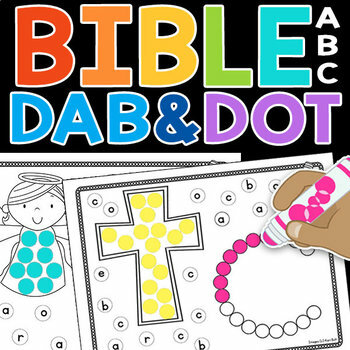 Work your way through the Bible ABC's with this fun collection of Dab and Dot activity pages. 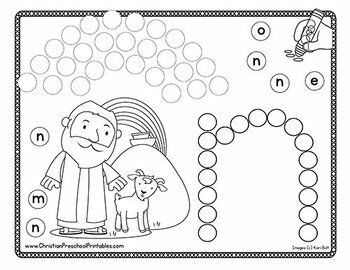 Each page features a lowercase letter alongside a beginnning letter Bible character or theme. 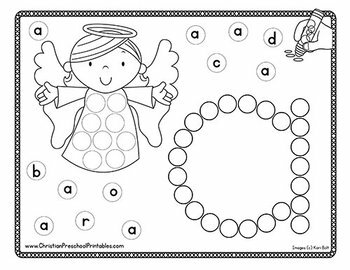 Students can also dab their letter bubbles around the page. This set is sure to add a little fun to your children's ministory or homeschool letter of the week program! Great for christian daycare centers too!